For all the defensive frailties that West Ham have shown so far this season, perhaps more worrying is their inability to create, and score goals. There are plenty of opinions as to why this may be, and how to resolve it. But there is a seemingly simple solution sitting on the bench every week. Javier Hernandez is touted as a ‘proper’ goal scorer. He has played for some big teams in various countries, and is also an established member of his national side. Whatever staged he has plied his trade on, he has scored goals. A quick look at Wikipedia will tell you that he has scored 37 goals for Manchester United, 7 in a brief loan spell at Real Madrid, and 28 goals in 54 appearances for Bayer Leverkusen. 50 goals in 105 games for his national side, Mexico, is no mean feat either. So it begs the question, is ‘Chicarito’ the answer to West Ham’s goal-scoring prayers? Despite the above mentioned scoring record, which is decent for a player who made quite a few appearances as a substitute for Manchester United and Real Madrid, his performances on the pitch for West Ham have been pretty uninspiring. Again, a lot of his appearances for his current club have come from the subs bench, but a return of 8 goals from 32 appearances leaves a lot to be desired. Many saw his acquisition as a bit of a coup by the club, and it was hard not to get excited about the prospect of him playing in a team alongside Arnautovic and Lanzini, among others. You would have imagined that these 2 players especially would be able to lay plenty of chances on a plate for the Mexican. This could be where the trouble lies. Any striker is going to find it difficult to score goals if he is not supplied with enough chances. We’re all well aware of this fact. It is something you learn when you start playing kids football on a Sunday. If you want to score goals, and you want them to come mainly from your striker, then he needs service. Hernandez does very little for the team when he plays. With his small stature and what seems like a lack of strength, he is never going to hold the ball up for you when you need to drag yourselves up the pitch. He isn’t the quickest either, which means balls in behind and over the top for him to chase, aren’t really the best option. Both of these things mean that he won’t be chasing and harrying the opposition defence while they have the ball, either. But what we do know, and what we have all seen in glimpses at West Ham, is that he can score goals. So the issue must be that the team, as a whole, are just not very good at creating and converting chances on goal. For a number of years now, and after only 4 league games with Manuel Pellegrini at the helm, West Ham have lacked a ‘style of play’. There just doesn’t to be any real idea as to how we are going to score. Apart from the obvious, lump it up to Marko and let him work his magic. This is all well and good when it works, and Arnie has produced some real moments of magic during his time at the club, but it can’t be relied on as plan A. Whether or not Pellegrini is going to see fit to give Hernandez more game time is a question that only he can answer. But if he does, we need to get the most we possibly can out of him. We know he scores goals if teams play the right way. Personally, I would give him a go. I’d like to see him play as a central striker, which Arnie probably moving out wide to either wing. The plan then must be; get the ball out wide, beat the full back or get a yard of space, and get an early cross into the danger zone of the penalty area. 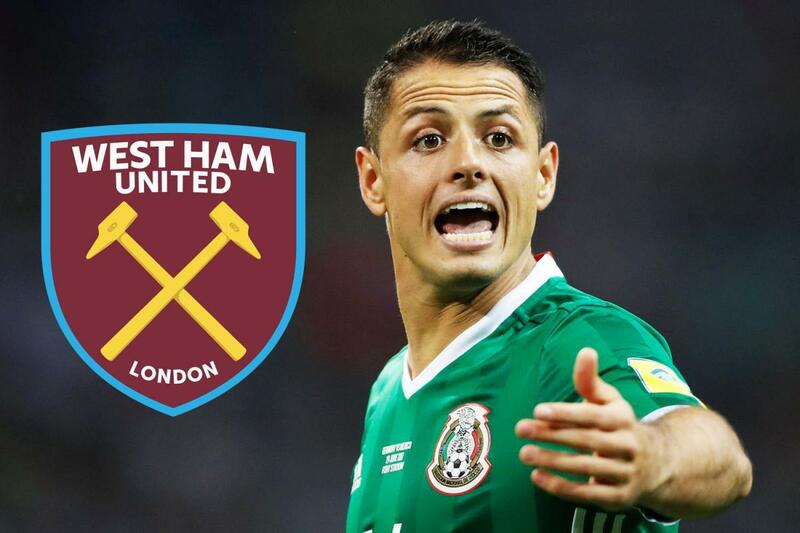 History has shown us that more often than not, Javier Hernandez will be there to poke the cross into the back of the net, whether that be via head or backside. We have pace in Antonio, and creativity in Anderson and Wilshere. Arnautovic has the lot. Maybe it is time to forget about the manager’s ‘philosophy’ and what has worked for him before, if only temporarily, and just go back to an old school, yet effective, way of playing. Attack with pace, take people on, get runners into the box, and then supply those runners with good delivery. We have a ready made poacher to take advantage of this…’philosophy’.